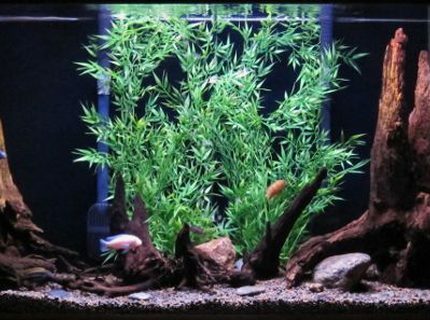 About Yourself: A mate introduced me to fish keeping 5 years ago. I've learnt a hell of a lot since! Advice: Don't over complicate things to begin with, and don't rush it! It is a piece of art that will grow and evolve over time! Seek advice on forums before you start. There are a lot of people out there that know their stuff - but beware of the few that don't!! 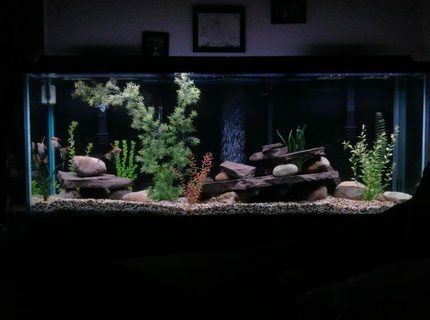 If algae hits don't just wait for it to "go away" Do something about it! 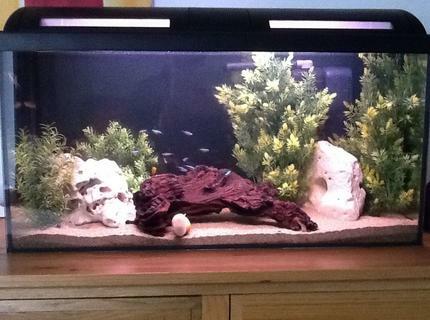 Fish Kept: Various African cichlids and synodontis catfish. Advice: Research and more research and quality filtration. 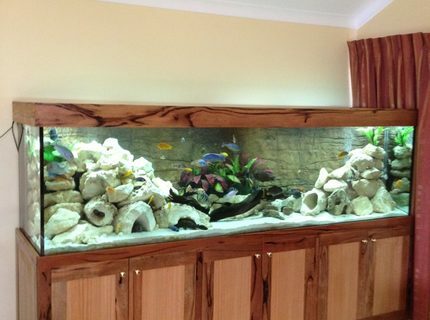 Fish Kept: Mbuna, Peacocks, Haps, Tangs and Victorians but mostly malawi. 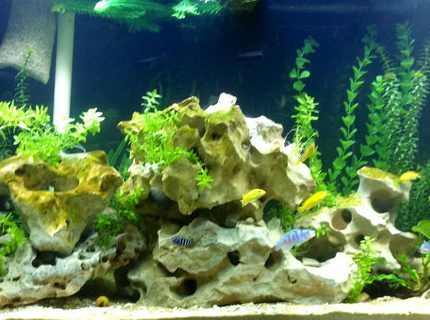 Corals/Plants: Texas holey rock and fake plants. Advice: Google all your info and read alot. It really isn't that hard if you do your research. 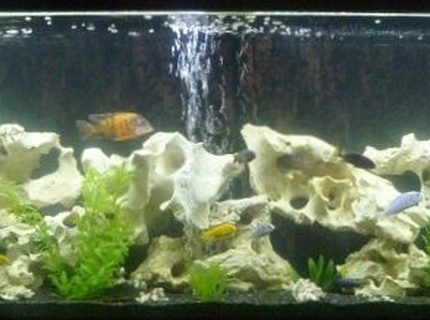 Description: My first Cichlid tank. So far everyone gets along. 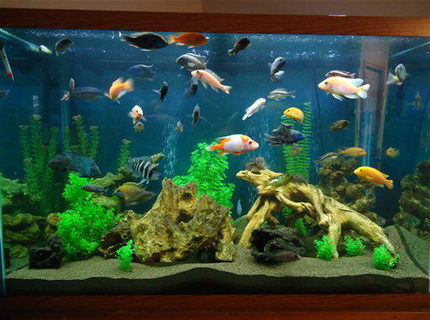 Quote: Fish are friends, not food. 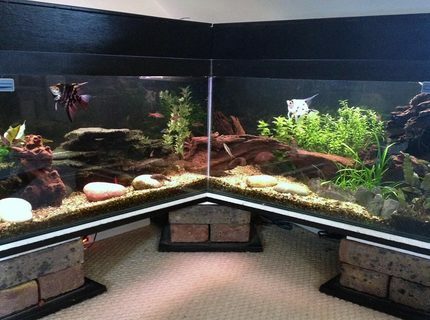 About Yourself: I had fish tanks when I was younger, and wanted to keep enjoying them. 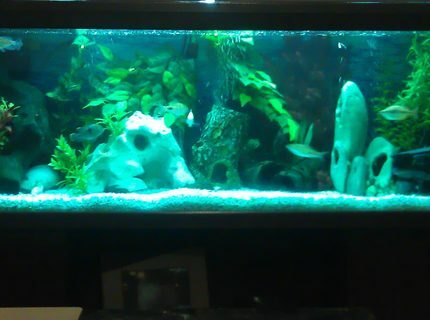 Fish Kept: 11- Angel Fish, 6- Clown Loaches, 6- Sevrums, 1- Pleco; all young. Advice: If your thinking about go big, just do it! It's cheaper in the long run. Advice: You never stop learning so don't think you know it all...! Advice: Have fun with it! Featured Ebook: Betta Lover's Guide. 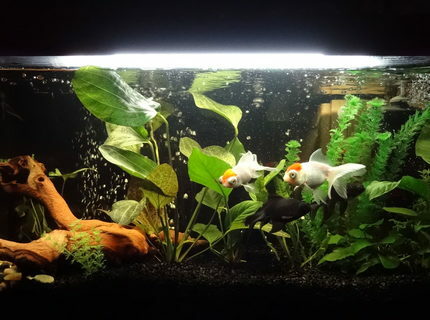 Learn How To Make Your Betta Into The Most Cared-for, Happy, And Safe Fish In The World. Featured Ebook: Discus Fish Secrets - Keep Discus Fish The Easy Way. Featured Ebook: Angelfish secrets revealed - An Angelfish Breeder Shows You Step By Step. Featured Ebook: Oscar Fish Secrets - Discover the secrets for succefully keeping Oscars.